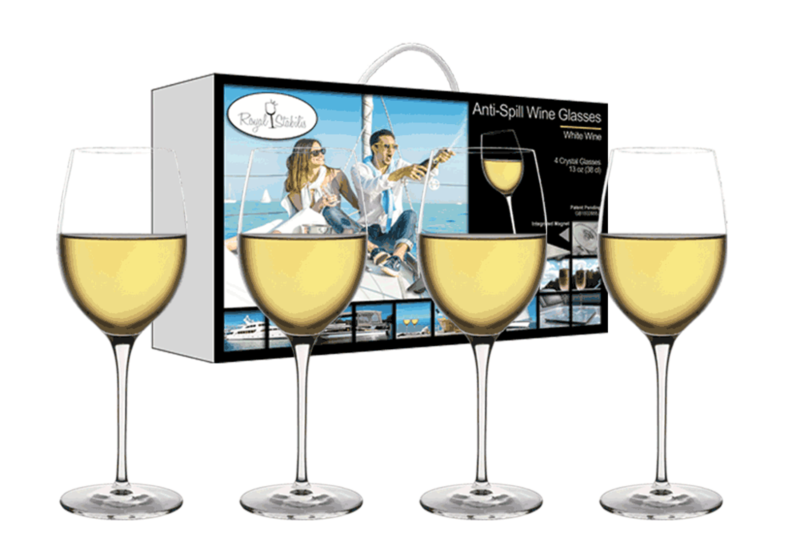 Anti Spill Wine Glasses | Royal Stabilis | NO MORE SPILLS! 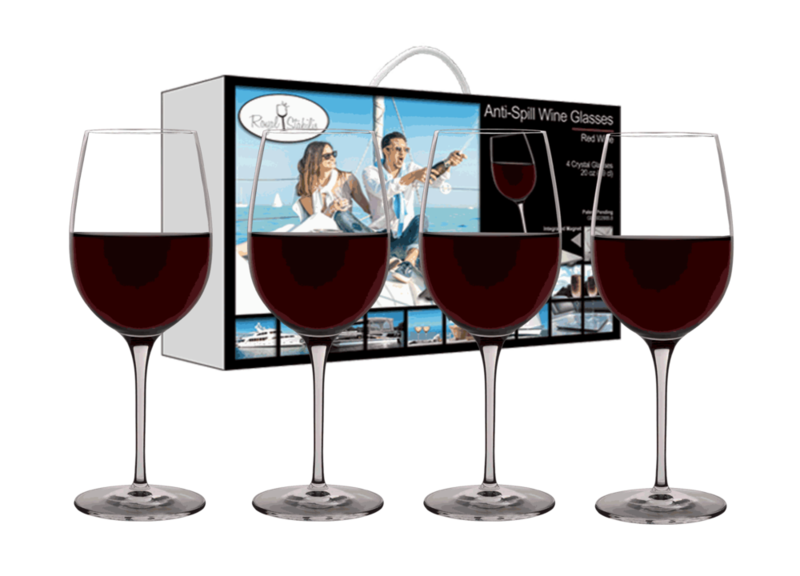 Anti-Spill Wine Glasses for Boats, Sailboats, Pontoons, RVs, Yacht, Picnic sets. Do not spill wine again. Spillproof. High quality crystal glasses for red wine, white wine and champagne. Cup holder for wine glasses. Sail with peace of mind! As a boat enthusiast and wine lover, I never compromise. So drinking wine out of plastic cups or glasses for my boat guests and I: No thank you! After breaking several crystal glasses on my boat, I had the idea of magnetizing them. I tried many different combinations of magnets, glasses and steel, and finally found the perfect balanced solution providing quality, stability and functionality. Today, I share my invention with you and hope you will enjoy it as much as I do. Life is short! Enjoy it fully... without spilling good wine or breaking crystal!